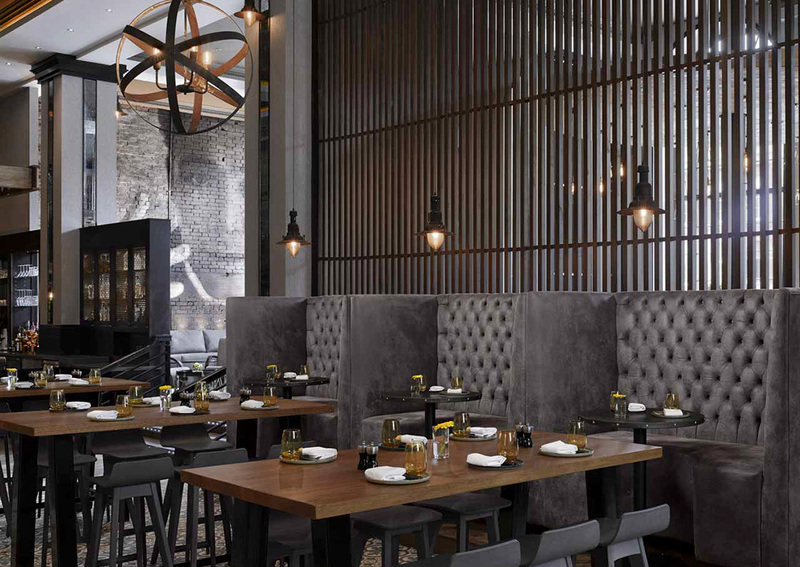 Leading interior designers Trevillion Interiors came to us to manufacture a mixture of modern, chic and industrial furniture designed for the Fire & Lake Bar & Grillhouse at the Radisson Blu Hotel, Leeds. We manufactured a variety of bespoke banquette seating styles and chairs. 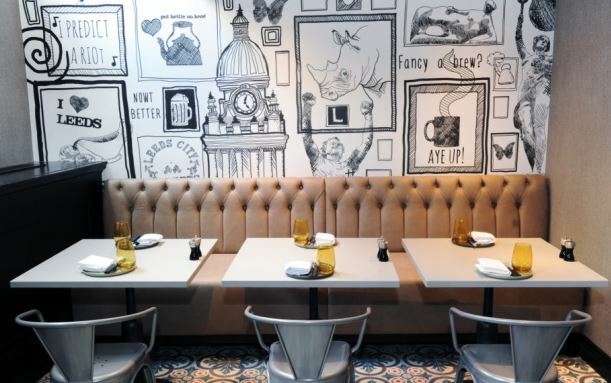 As specialists in bespoke banquette seating, we were asked to manufacture several elaborate designs which included high deep buttoned back booths, a sofa style banquette and a stylish button/flute mixed style back. Completely bespoke and completely unique to Fire and Lake Bar. Because of the specific design and quantity of the banquettes, there had to be extra hands from the factory present on site to assist our installation team fit the banquette seating. Our product designer devised a method using a metal clip to affix the seats together, adding stability and to prevent the banquettes from moving.